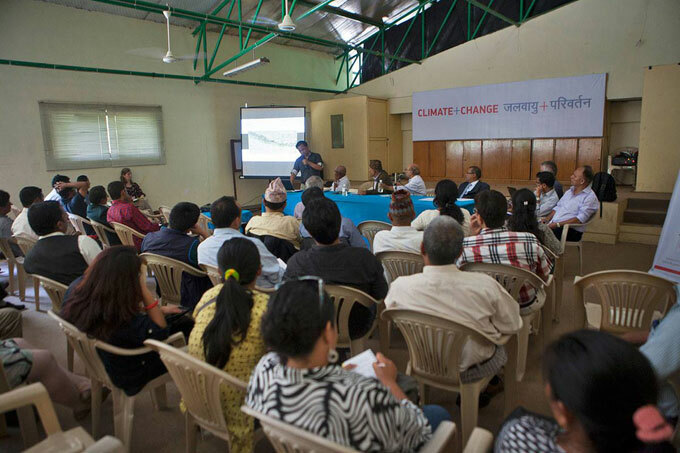 The second edition of Climate+Change- a dynamic exhibition exploring the effects of climate change on the Hindu Kush Himalayan region opened at the International Mountain Museum (IMM) in Pokhara, Nepal on 27th September 2014, marking World Tourism Day this year. The exhibition features science and imagery from the International Centre for Integrated Mountain Development (ICIMOD) and striking photography from David Breashears, GlacierWorks and other Nepali photographers that showcase the rapidly changing Himalayas and highlight solutions being implemented in the region. 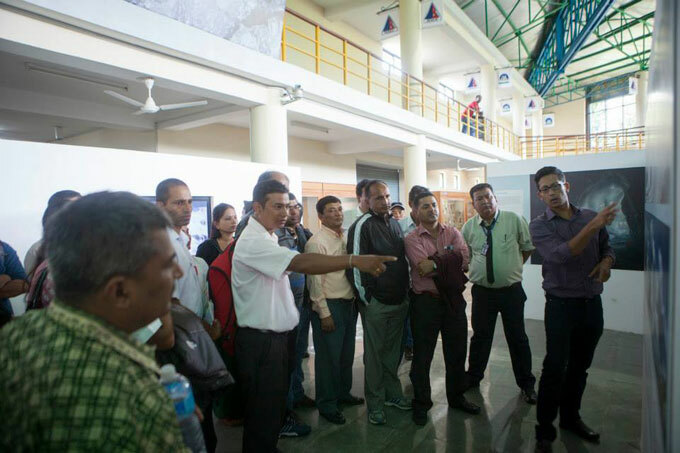 The exhibition has arrived in Pokhara after it was shown in Kathmandu for five months in early 2014. Climate+Change features stunning imagery, text, and interactive elements inviting visitors to investigate the challenges faced by our natural landscapes, ecosystems, and human communities and economies in the face of climate change across several national boundaries. 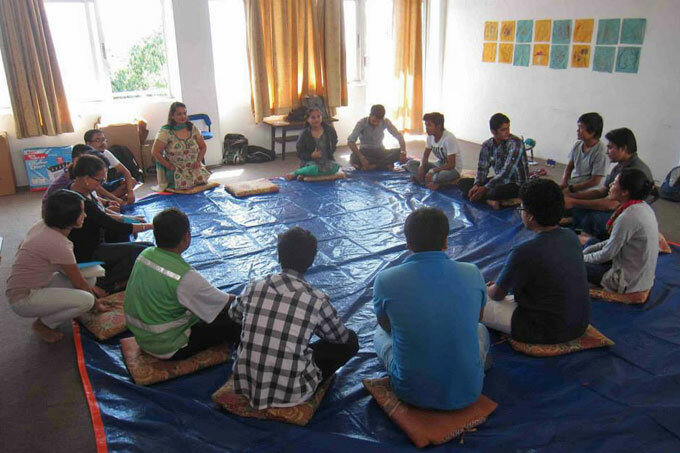 An in-depth Arts and Education programme will target students and teachers from across Kaski and neighboring districts, offering a unique opportunity for them to engage with and be inspired by science. 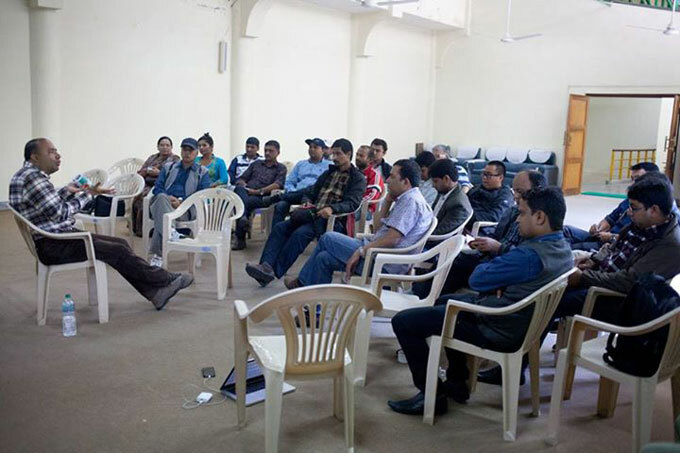 A smaller traveling version of the exhibition will also travel to remote areas of Nepal through the first ever BookBus of Nepal. Through the exhibition and its range of programming, Climate+Change aims to inspire a broad understanding and spark dialogue among various sections of society on the challenges facing this iconic region. It also aims to facilitate the development of new and innovative solutions to these challenges. 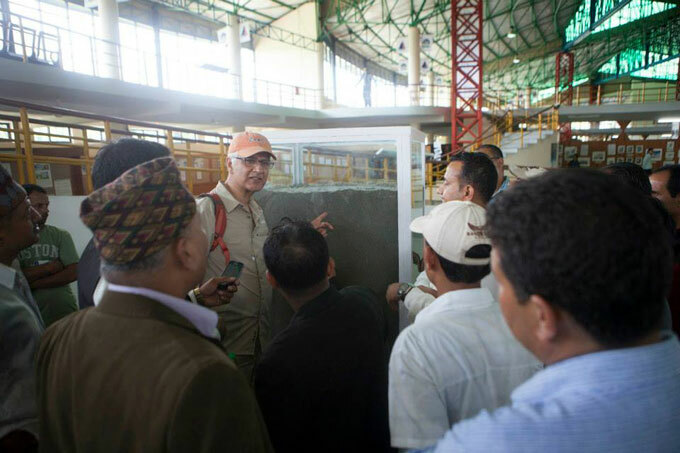 With three sections on air, water and ice, the exhibition highlights the science behind issues like black carbon and its sources and effects, types of floods, flood risk management, alternative irrigation methods and decaying glaciers and ice, to name a few. 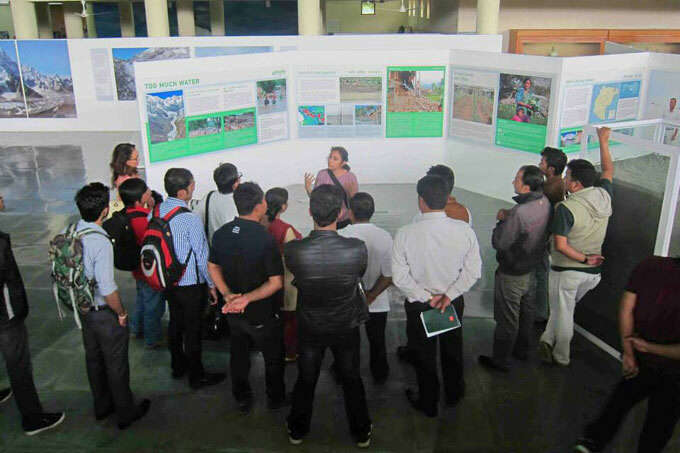 Using case studies from across Nepal the exhibition calls for the need to cooperate across borders in addressing the risk of natural hazards and the conservation of ecosystems. 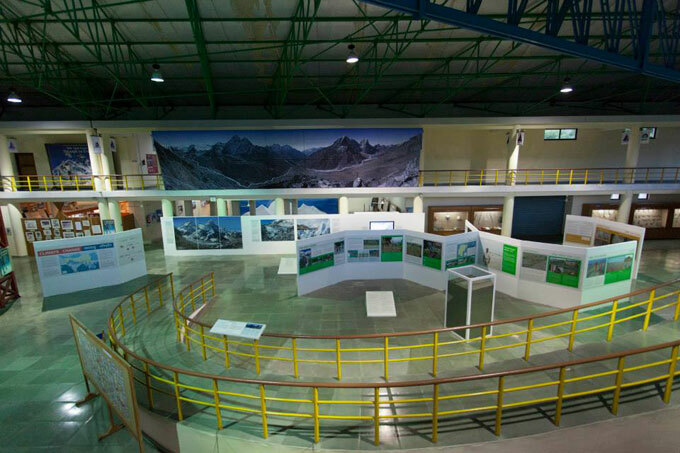 Breathtaking, large-scale photography from GlacierWorks invites visitors to explore the changing Himalayan landscape in and around Mount Everest, and scientific explanations will help visitors better understand the complexities of glaciers on the rooftop of the world. Throughout the exhibition, solutions are presented along with the challenges and visitors are encouraged to act on personal levels to make changes. Climate+Change will be showcased at the International Mountain Museum for one year starting today. Each month, new programmes and events will engage visitors on various topical issues that revolve around the exhibition. The events are designed to encourage active engagement of all visitors and the production of new ideas and insights into this region. 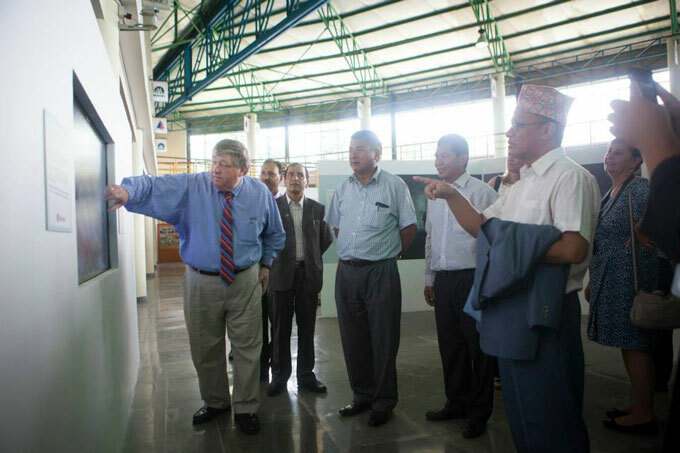 The exhibition is organized by ICIMOD and GlacierWorks in partnership with the Embassy of the United States in Kathmandu, photo.circle, THINC Design, Nepal Mountaineering Association (NMA), the International Mountain Museum (IMM) and Srijanalaya.